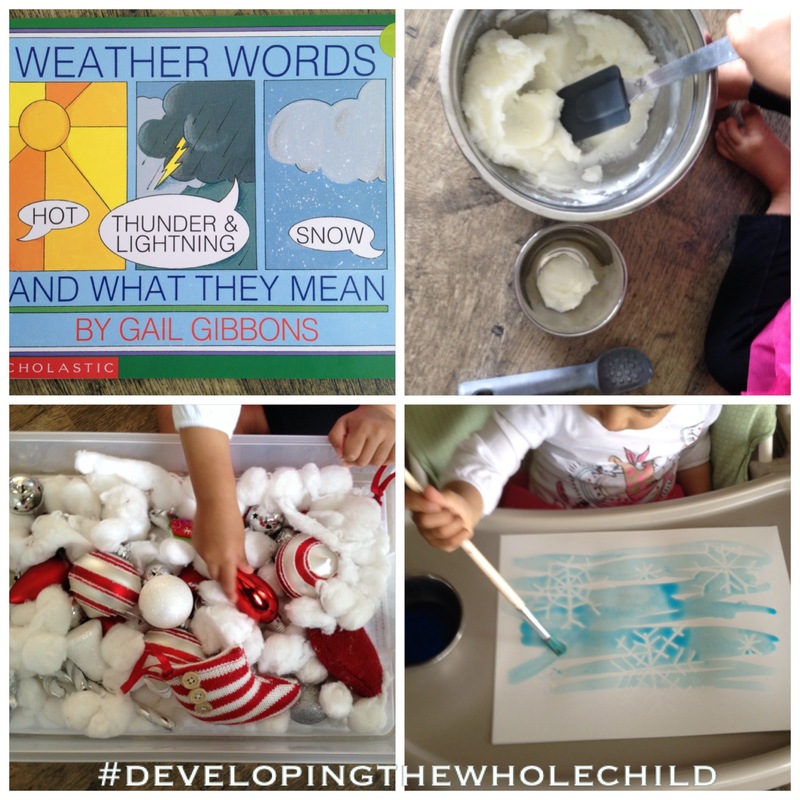 Weather Words and What They Mean by Gail Gibbons – Gail Gibbons writes many informative books on scientific topics and this is another great one! 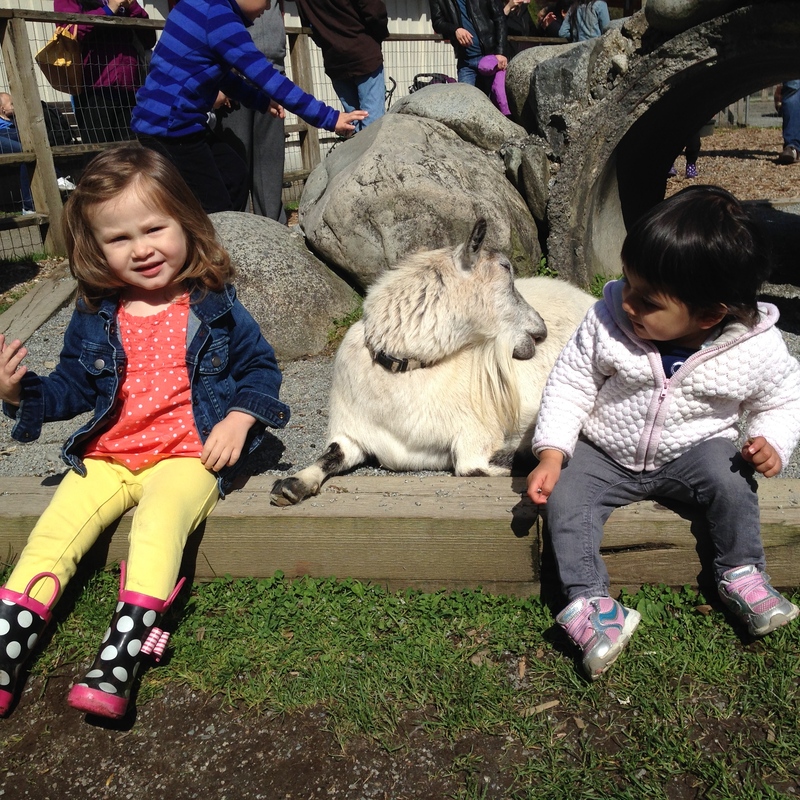 R liked to point at different pictures and would say stuff to me in her baby talk. I would name the object she was pointing at for her. 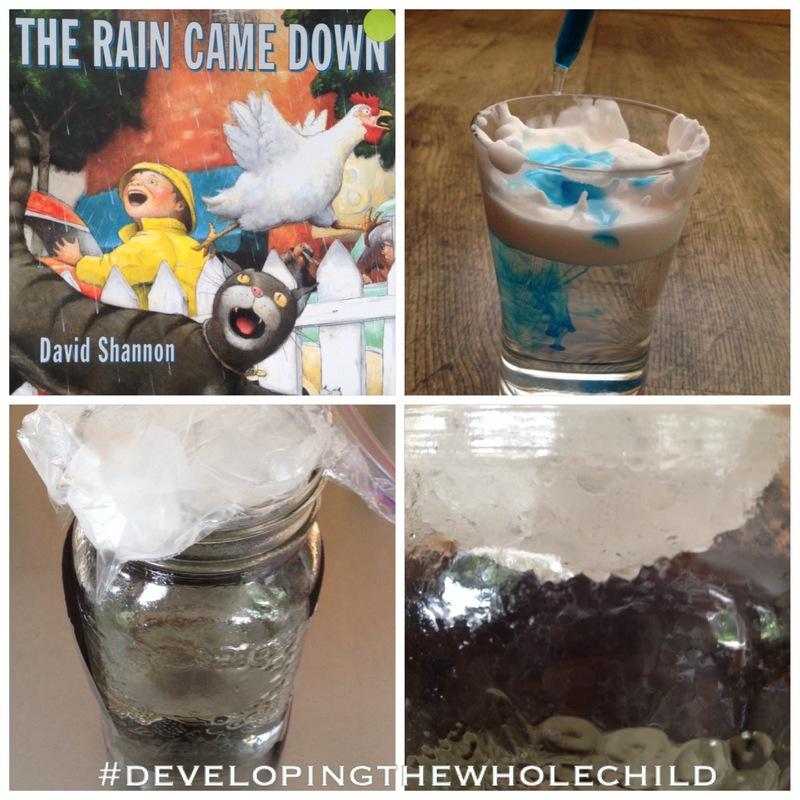 I used two simple ingredients to make the snow! I used one box (4 lbs) of Arm & Hammer Baking Soda from my fridge and slowly added vegetable oil to it until the baking soda started holding form. I then stored it in the fridge until R was ready to play with it. I gave her an ice cream scoop and rubber spatula to explore with and promote motor skills. 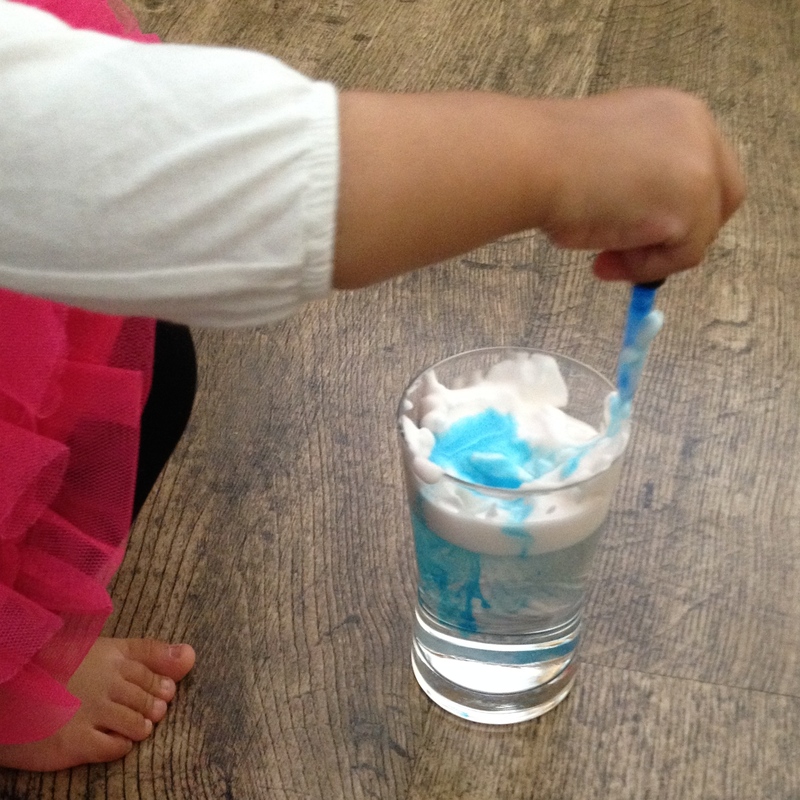 She loved scooping the snow from one bowl to the other and squishing it between her fingers! After the child is done playing, store the snow in a ziplock bag to use again and again! a. 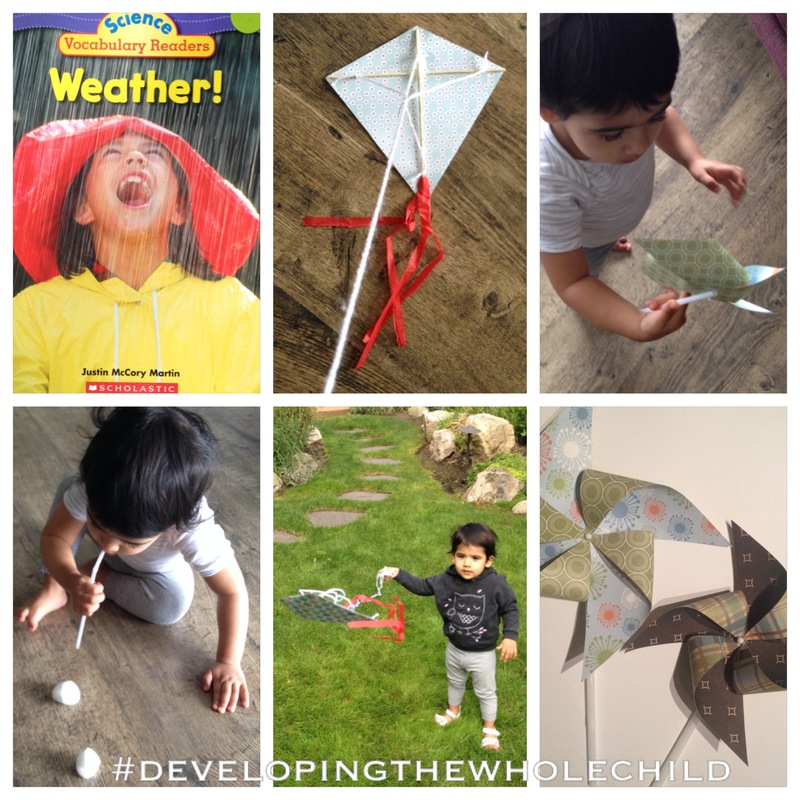 Encourage Imaginative Play. Set up an ice shop with the child. 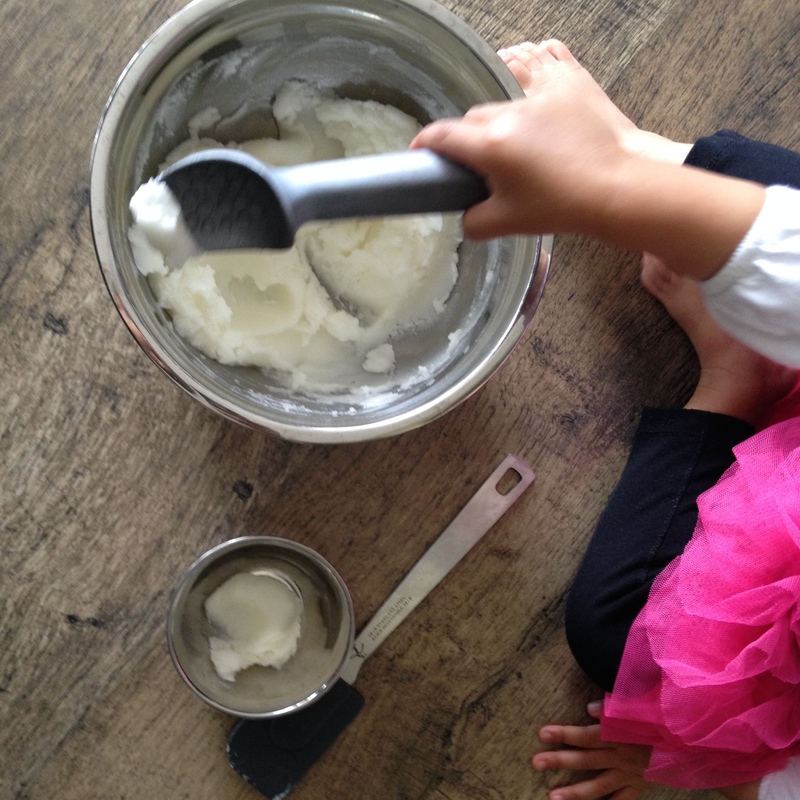 Ask the child the following open-ended question: What do you need to start an ice cream shop? Have him/her add appropriate items and then use the snow as a part of the ice cream store. Weather! 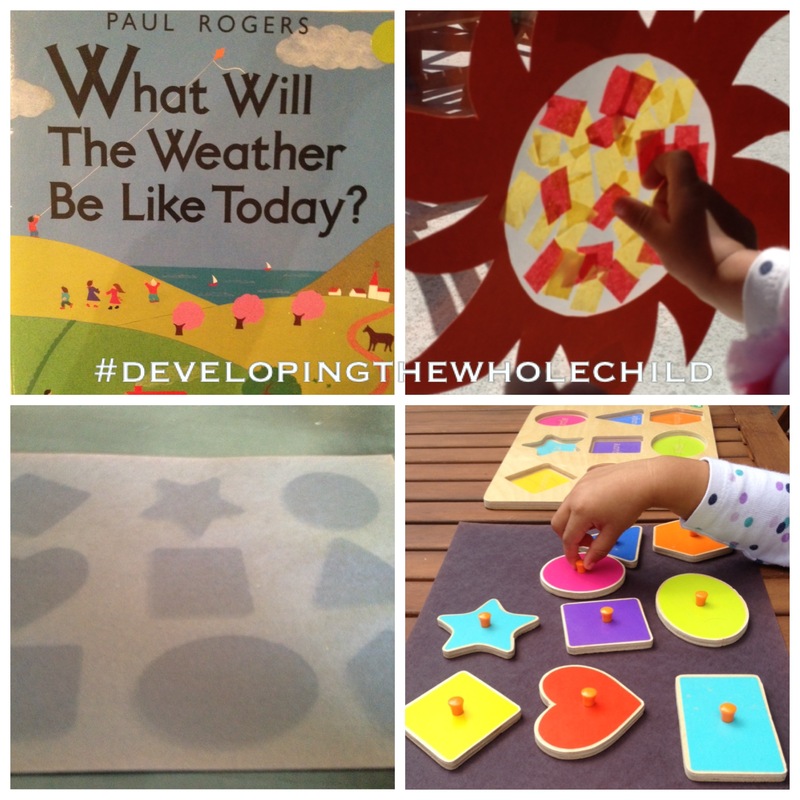 by Justin McCory Martin – R enjoyed listening to me read, “Weather!” It is a nonfiction book that includes information about all kinds of weather. 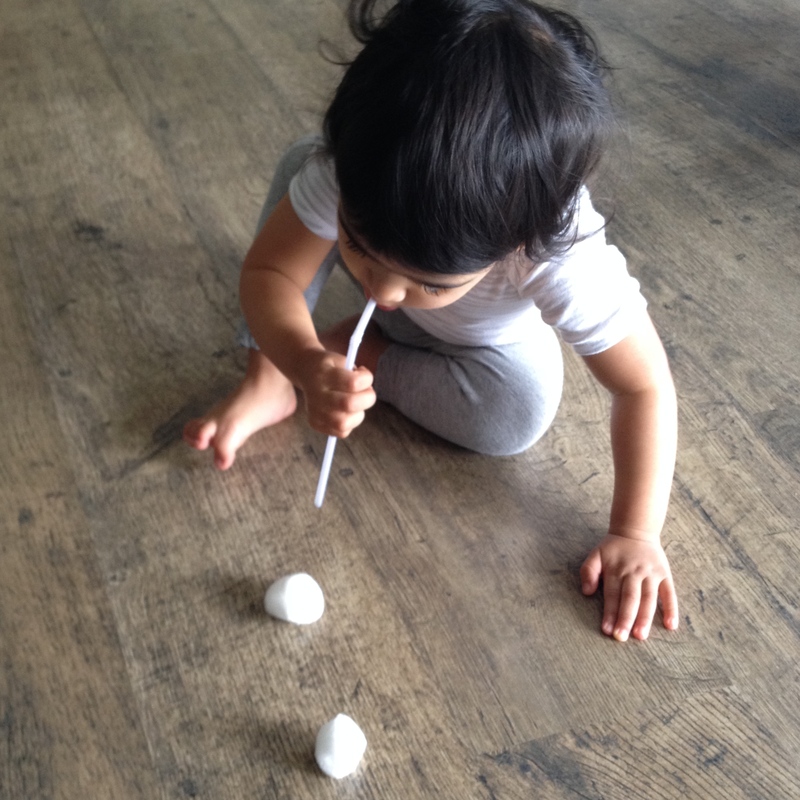 R worked on her coordination and lung strength as she attempted to blow cotton balls with and without a straw. The way she curled her lips as she practiced blowing without a straw was just the cutest!! It was a lot more difficult for her to blow with the straw since she had to aim the straw correctly. As we strolled into the dimly lit animal shelter, R spotted a striped cat lounging in its bed and was immediately drawn to it. She meowed at it as her face and hands were pressed up against the glass divider between the reception area and cat room. 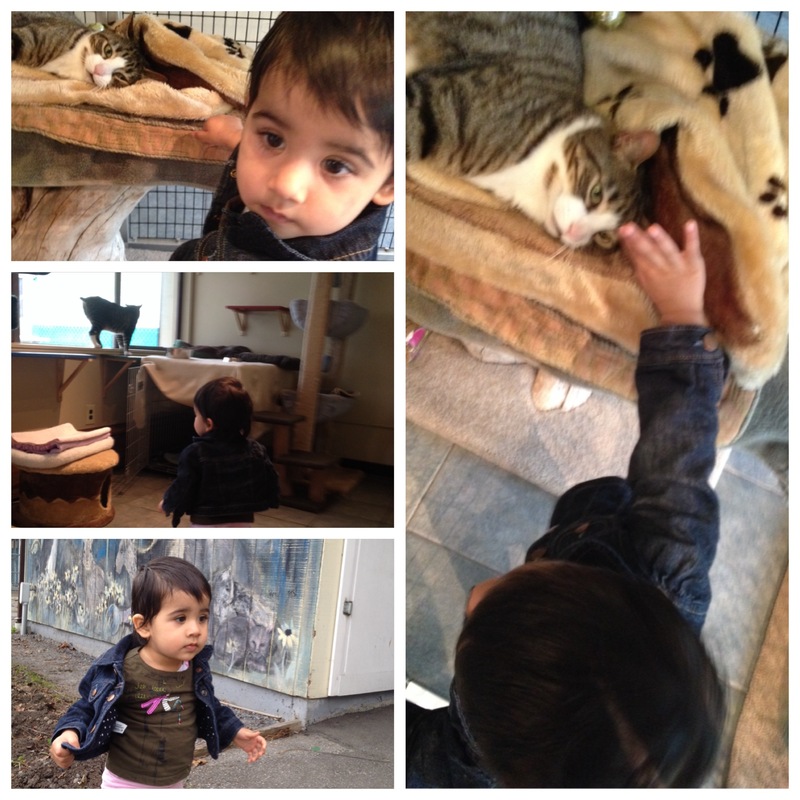 This was her first visit to the shelter, but not her first experience with cats. As the staff unlocked the door to the cat room, R gingerly trotted by my side. She promptly slipped in beside the striped cat, which we learned was called Linx, and began stroking his soft fur while quietly whispering “nice”. Her memory of interactions with other animals had served her well, as she knew to be nice to her new found friend and to stroke him gently. Being kind to other people, animals, nature, herself and her and others possessions is something that I hope to instill in R. It is a quality I want her to carry throughout life.